In the past, LaChapelle rose to fame as one of the most in demand celebrity/fashion photographers. David LaChapelle's creative force and surreal sets made many of the celebrities willing to play his game. 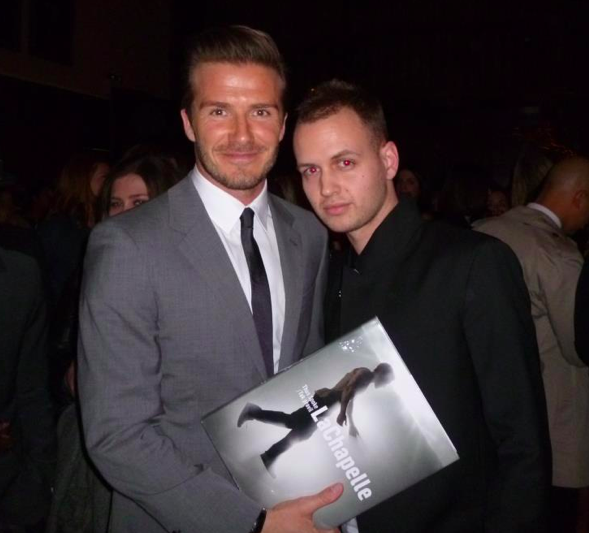 David Beckham was one of the endless list and Pavleye Art and Culture team met him to introduce one of the most complex publication about LaChapelle's 30 year's career. A catalogue "Thus Spoke LaChapelle" became the latest IT item on their book shelve.